MindFuel’s mission is to spark an interest in science, technology, engineering and math (STEM) in classrooms around the world. The release of their 2017 annual report coincided with exciting findings on Mars and throughout space. 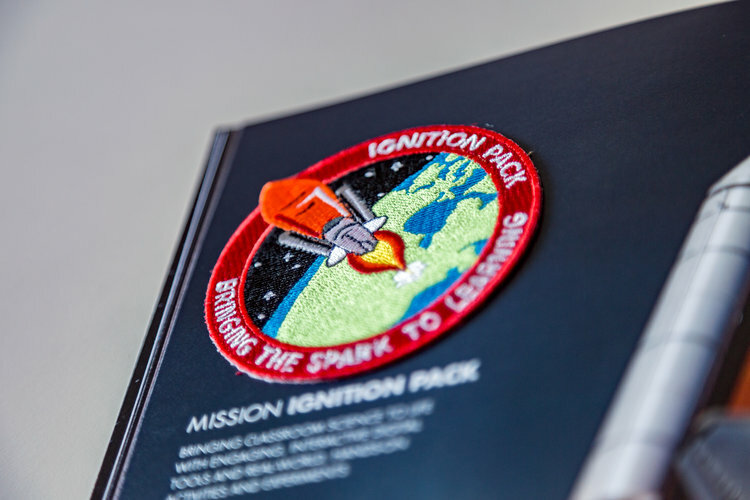 So to build off this excitement, while at C&B Advertising, I produced an annual report in the style of a space mission debrief personalized to each recipient, vacuum-sealed and complete with embroidered mission patches for each branch of Mindfuel’s educational offerings.